Easy to use. Animated coaches are available to guide your students' every step. Customizable curriculum. Use the built-in curriculum, create your own, or allow students to freely explore. Learning and fun combined. Students can play our games, customize their coach and theme, and choose from over 2500 unique exercises. Our Hand Function approach to training recognizes that we have greater control over our index and middle fingers than we do over our ring and little fingers. Specialized activities focus on each finger individually, allowing students to learn the finger motions as efficiently as possible. 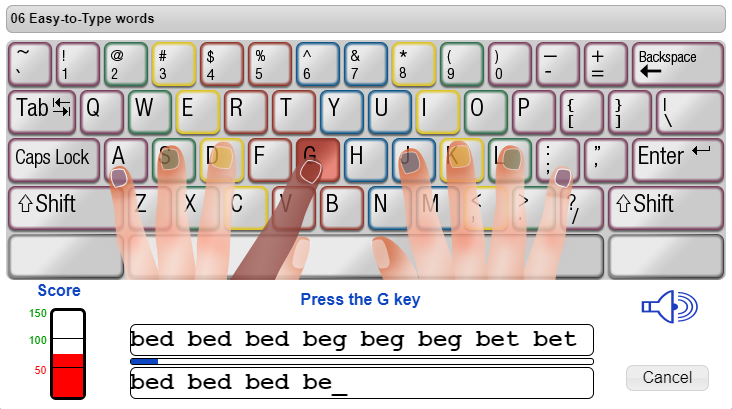 Custom lessons are created automatically to help students with keys they're struggling with. Explicitly assign activities to your students. Allow students to free explore the site in self-guided mode. Create your own exercises to match the specific needs of your students, or to combine typing training with other classroom topics. Numerous options are available to customize the course to match each child's goals, age, skill level, and specific needs. Includes special features for students with special needs. Create and manage accounts for students. Each student has a unique user ID and password. Upload student account information from a spreadsheet or a database. You can upload new accounts, as well as upload a list of changes to existing accounts, making annual updates to your student list very easy. Organize your students into groups, or even into additional administrator accounts. Assign exercises to your students. Grade work and add comments right on the web site. You can optionally set the on-screen keyboard colors to match those of the LessonBoard color-coded keyboard. Track students' speed over time. Get a quick summary or view all exercises taken, with errors highlighted. See how much time your students are spending on the web site, and monitor activities completed. See how close your students are to reaching their goals, and identify areas of strength and weakness. Our typing games allow your students to save a space colony, play some soccer, race against other students, and test their knowledge. Students can customize the site with their choice of coach and theme. 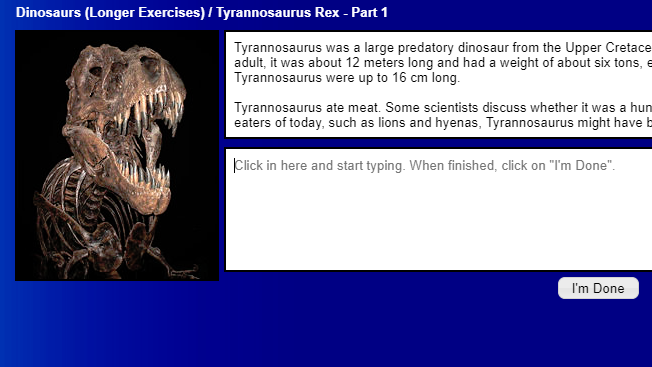 Numerous exercises are available on interesting topics, allowing students to learn new things while they type. 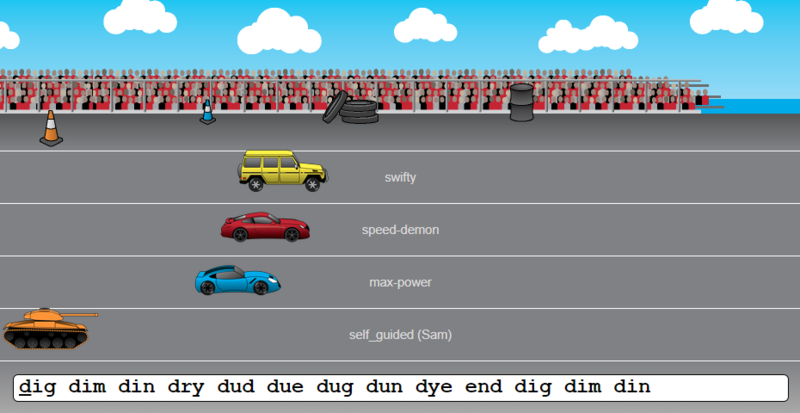 Custom exercises can be created on any topic, allowing for typing instruction to be combined with other classroom topics or tailored to match the students' interests.